This Irish charm is a gold Tara brooch that features an engraved design. 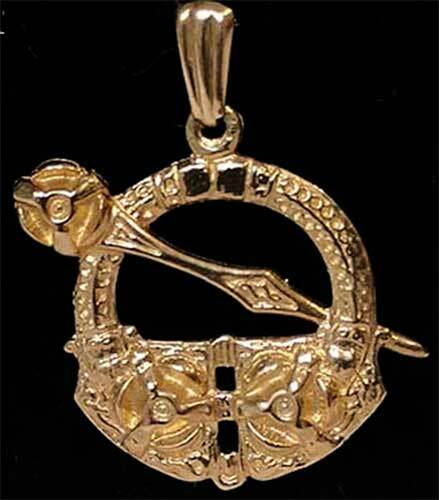 This gold Irish charm has been hall marked by the Irish Assay Office at Dublin Castle. 9ct gold is .375 pure gold and was at one time the Irish standard for export to the United States. 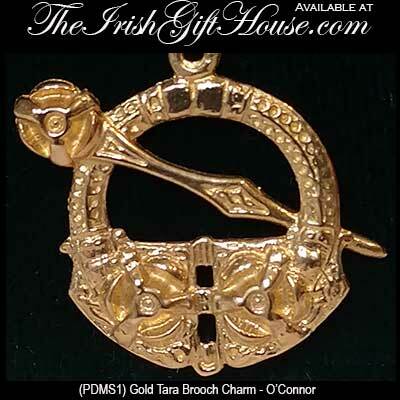 This Irish charm is a unique representation of a Tara brooch that is cast in 9K yellow gold. The Tara brooch charm features an engraved and dimensional design that measures 1" wide x 1" tall, including the jump ring and the chain bail. This Irish charm is made by O'Connor Jewelry in Dublin, Ireland and it is gift boxed complements of The Irish Gift House.